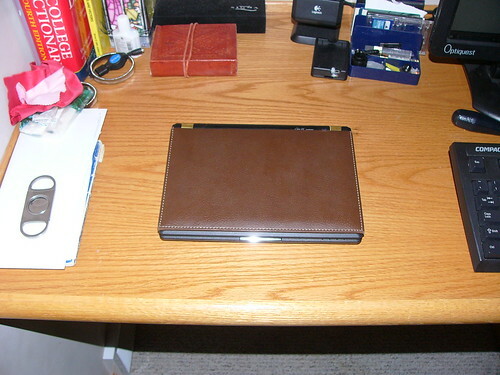 Well, first post of the blog, I figure I ought to make it light. 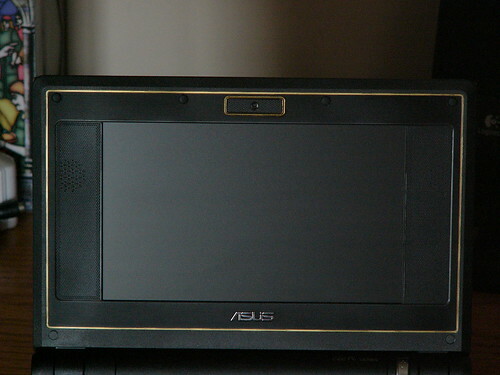 This is my Asus EEE. 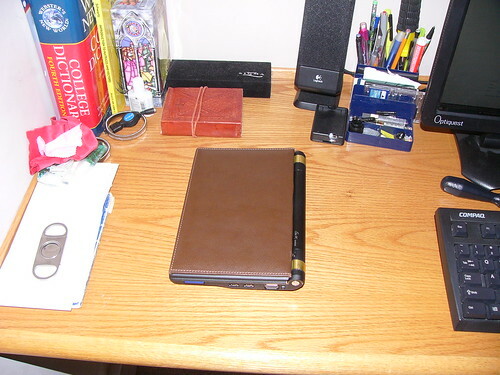 I’ve cut a leather journal in half, and epoxied the top cover to the lid. I’ve added gold ink inlays to the screen and sides, and strips of brass that I cut to size for the hinges. Simple, but I like it.